About our Spa!  Welcome to the Murrieta Day Spa – my second home since 1997! While you are here you will receive the most beneficial and therapeutic services from my loving staff! Murrieta Day Spa began in 1990 with my parents, Ronald & Michelle deGroot. I took over the business in 1997 after my first child was born, and have watched it grow from 4 employees to now over 55! I began my career in Los Angeles as a hair stylist on the set of many television commercials, sitcoms, and movies. I brought my industry experience and knowledge to the Spa and was eager to develop the services offered. I am proud to have educated and highly talented hair stylists, estheticians, nail technicians and massage therapists in this area! The continued support of my family and staff has kept the Spa a continued success. We care about your experience.. Feel the tradition at this award winning beauty destination nestled in the tranquil Murrieta-Temecula Valley known locally for its relaxing atmosphere. Murrieta Day Spa is famous for its signature massages, specialty facials, pedicures, and manicures that have been described as the best in the valley. Guests can enjoy the full service salon, Cypress Cafe’ and outdoor heated mineral pool while being pampered from head to toe. Inquire about our packages, gift cards, private parties and all inclusive Spa rental. I thank you for considering Murrieta Day Spa for your personal health and beauty goals. Let your relaxing begin!